I had the opportunity to work on another one of Cena’s quilts. 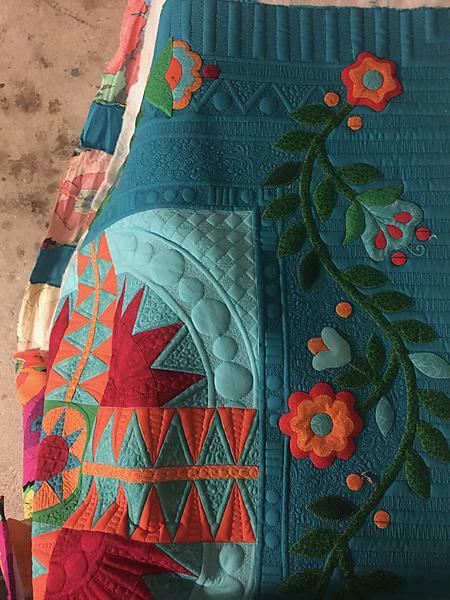 She always gives me something fabulous to work on and this quilt was no exception. It also helps that the focus fabric is in my favorite color. 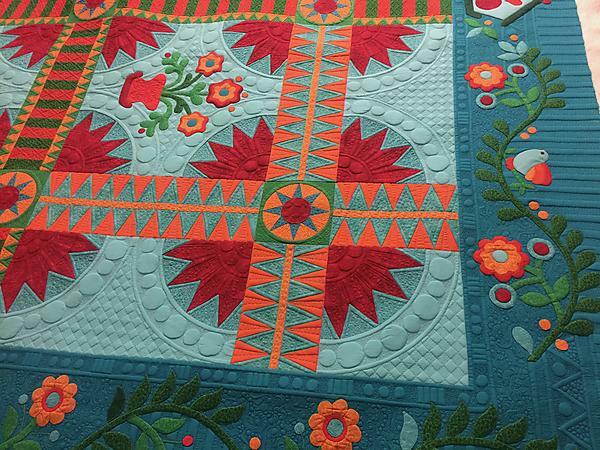 I knew up front that this was going to be a “show quilt” and I wanted to push my design process. 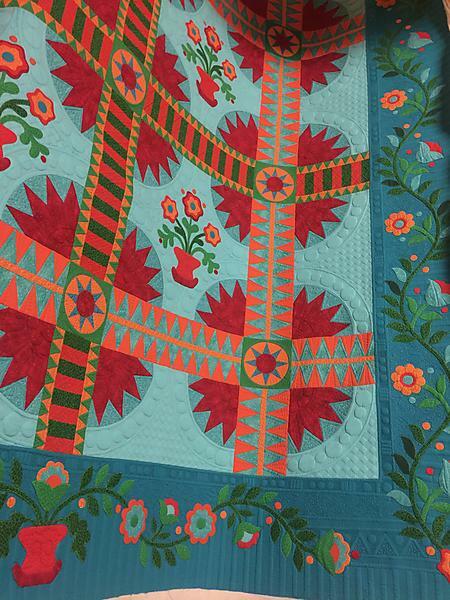 She let me do a double batting (80/20) which would make the quilting ‘Pop” and the appliqué shapes stand out as well. 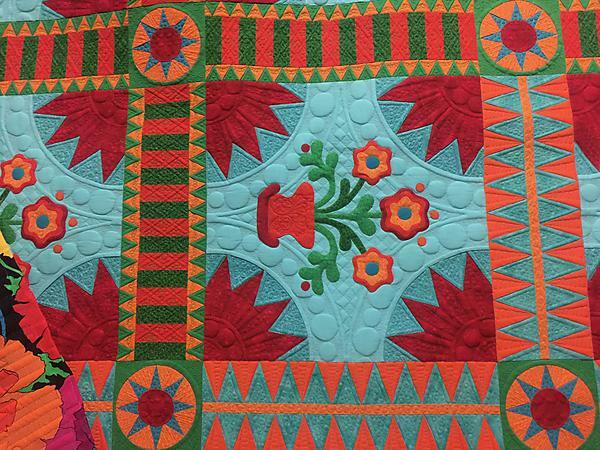 I did not get a picture of the whole quilt – I will post some after a show, but did get a lot of detail shots. 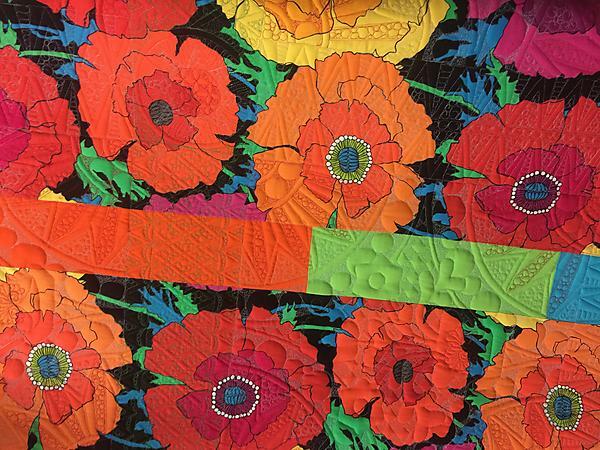 We are considering this our first collaborative quilt. 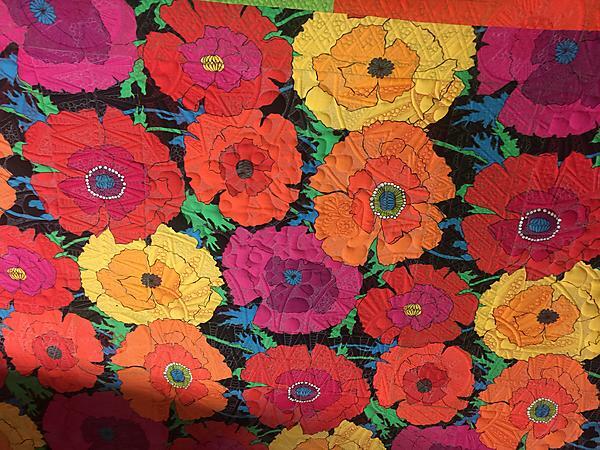 I work on it for about 3 months- every day that I was not working I was quilting. . 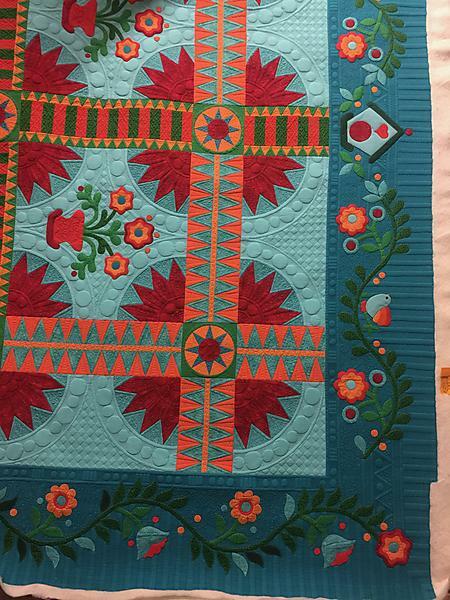 I learned so much from this quilt. She always has really fun backs.